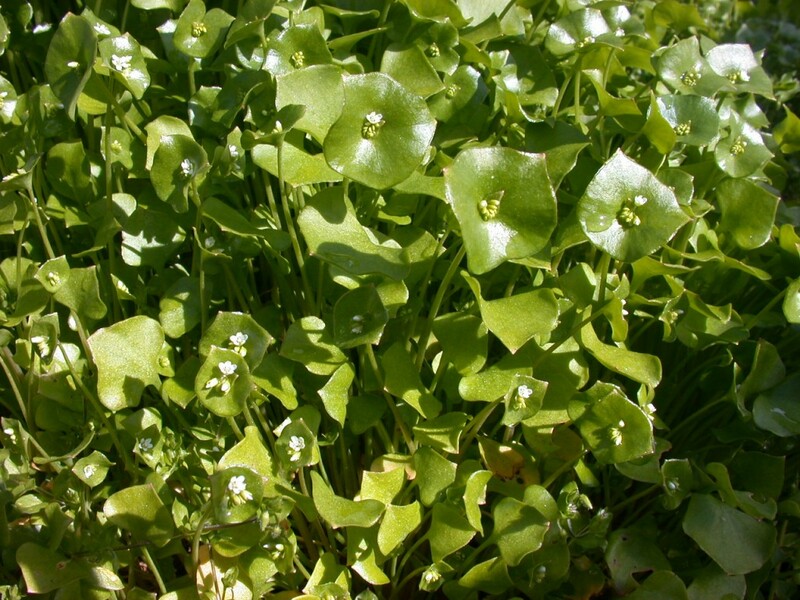 Miner’s lettuce, also known as Winter Purslane, Spring Beauty, or Indian lettuce, is a wild plant native to southwestern British Columbia. The name Miner’s Lettuce comes from its use by prospectors/miners as a salad green and a source of Vitamin C to prevent scurvy. Historically indigenous peoples of the Pacific Coast of North America also used it as a medicinal plant. Medicinal uses included an external poultice for rheumatic pain, the juice as an appetite restorer, and diuretic. Knowledge of sites where the wild plants could be found was passed down from generation to generation and from miner to miner. The lettuce is a low growing annual with smooth, fleshy leaves and stems and small clustered white flowers. It flowers in May, June and July. Today some restaurants in the greater Vancouver area and on Vancouver Island employ professional “foragers” to find and gather the mild-flavored leaves and stems. In addition, a small number of restaurants and individuals gather seeds from the wild and cultivate the plants. It is served fresh in salads and as a garnish, similar to how it was eaten by the miners over 150 years ago. Miner’s Lettuce is under serious threat due to loss of habitat. Historically it could be found in many areas down the Northwest Coast of the American continent, but as more land is developed and paved over, there are far fewer areas for the plant to prosper. As the plants are lost, so is the historical knowledge and practice of gathering and eating this fresh spring green. Historical gathering sites have been lost to development. Protecting Miner’s Lettuce as a wild edible is important not only for the continued existence of the plant itself but also, perhaps more importantly, for the continued existence of the historical knowledge and practices associated with the gathering of this wild food.